The other day someone asked me what I thought would be a good vehicle to buy today that will probably be worth more in the future as a classic car. It had to be cool and really fun to drive and there were quite a few of them that came to mind right away. One vehicle that I have noticed has been going up in price recently compared to what they sold for new is the iconic Honda S2000 roadster. It was Honda’s last true sports car and a really cool one for sure. The Honda S2000 was manufactured by Honda from 1999 to 2009 and sold worldwide. It’s a super cool car that was one of Road & Track‘s Best All-Around Sports Cars, I would have to agree with that assessment. Honda created a great vehicle for the money and they ended up selling 66,547 in the United States over the decade that it was available. That may seem like a ton of cars, but it’s really not since in 2009 there were fewer than 1,000 sold. In 1999 there were only 3,400, so they are getting more difficult to find, especially with lower miles and in great condition. 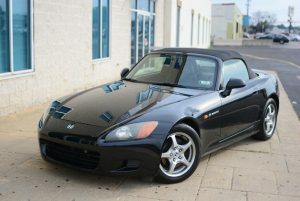 I spotted a 2000 Honda S2000 with about 195,000 miles running through the dealer auction and it would still retail for close to $9,000 to $10,000, which seems a bit crazy. Granted it was in excellent condition, but the original MSRP of this vehicle back in 2000 was $32,000. The reality is that vehicles are getting more expensive on an annual basis and many people are turning to older cool cars that have already depreciated enough that they are affordable to drive. WHAT ABOUT REPAIRS ON AN OLDER VEHICLE LIKE THIS ONE? As The Cool Car Guy, I find cars like this for people who are into cars all the time. It can take some time to find the right one that isn’t trashed or hasn’t been driven hard to the point that you’re going to spend a fortune in repairs. It’s true that there are maintenance costs for some of these vehicles, but if you do the major issues such as a timing belt, water pump, brakes, tires, alignment, change the oil, etc. these vehicles can last a very long time. As long as parts are readily available, you can usually go to an local shop and get repairs done for less. This is another strategy to own an affordable cool car for the masses that many people often overlook. Certain vehicles hold their value much better than other vehicles. Some vehicles you can actually drive for nearly free because of how they hold their value and appreciate after a certain time period based on supply and demand. Of course, I can’t tell you that’s going to happen for sure, but I can tell you that I’ve done it many times. 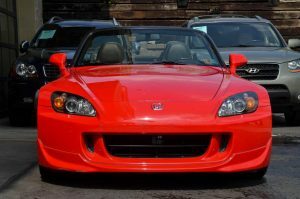 The Honda S2000 is one of those vehicles that is unique, fun, engineered extremely well and popular enough that you can buy one at a good price and drive it for a few years and not lose a ton of money in depreciation. The biggest challenge is just finding another buyer, but they are out there because more care enthusiasts are discovering how fun they are to own and drive. This is a different strategy than one of my other ones where you can be driving a near new vehicle every three years and have most of the warranty in place during the time you’re driving it. 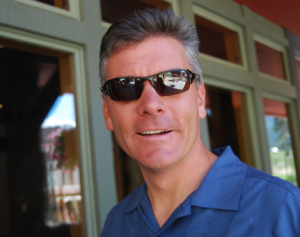 That strategy is really cool as well and it’s a great alternative to leasing. I also have my unique CoolCarsForLife.com strategy where you can buy a vehicle like this one by borrowing against your cash value life insurance policy and paying it back on your own terms with no credit check or having the loan even hit your credit report. If you know what you’re doing, you can do this at nearly zero net interest as a great way to fund a vehicle like this one as your daily driver or to own a fantastic future classic for Summer or warm weather driving. 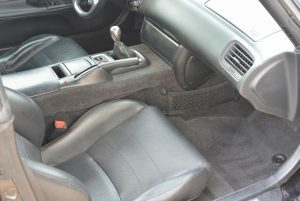 Another great feature of the Honda S2000 is that after-market and OEM parts are readily available and you can still order parts from the Honda dealership as well. There are also plenty of online forums and car clubs available for this vehicle because it’s a vehicle with a bit of a “cult” following. Why wouldn’t it be since it’s such a cool looking car and it’s now affordable for the masses. If you want me to track you down one like the photos in this article that I pulled out of the dealer auction website, just reach out to me through the contact form at CoolCarGuy.com. 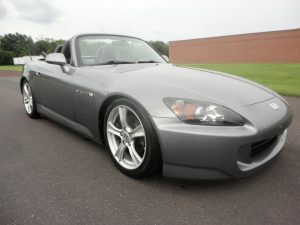 Finally, if you want to read another perspective on why it’s a great time to look at this vehicle as a potential buyer be sure and check out the article over at TheDrive.com called Why Now Is The Time To Buy A Honda S2000. If you decide this is a vehicle you want to own just get back with me and I’ll track it down.